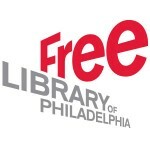 •The Advocacy Committee supports and promotes the Free Library system and literacy for all citizens by attending rallies, visiting legislators, writing letters, and soliciting names on petitions. •The Bookcase Book Sale is an on-going sale of books, donated by patrons, that are housed on a set of shelves in the Library. Patrons have access to these during the regular Library business hours. •The Book Sale Committee solicits, sorts, publicizes, and sells books twice a year (spring and fall) at both a preview sale and a public sale. •The Technology Committee maintains the Friends website and guides the membership support of library technology initiatives. •For the benefit and enjoyment of the community, the garden committee establishes new plantings and maintains the library garden on Midvale Avenue and Warden Drive. •The Hospitality Committee provides baked goods and other treats for various library events, such as the Winter Interlude, Annual Meeting, the Carol Sing, and the Spring Sale. •The Membership committee is responsible for soliciting new members, renewing existing members and maintaining a current member list.